I'm fairly certain all my readers know Milla. But here she is. My brother's daughter. She's 3 1/2 and an absolute joy to be around. 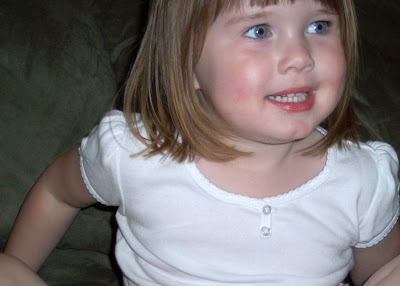 In fact, I'm not sure why I don't have a category on my blog just for her. I think I'll start that today. 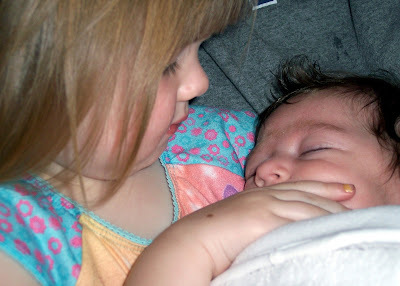 Milla was really into be close -- really close -- to Cate. ... and in this case Uncle Zac. I think Cate was beginning to wonder what was going on. I mean, we give her a lot of attention, but Milla was all about Cate. When Cate cried, Milla asked what she needed. A small toy? A blanket? 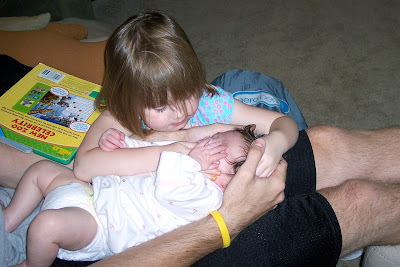 And one time Greg was holding her when she cried and Milla insisted I take her back. 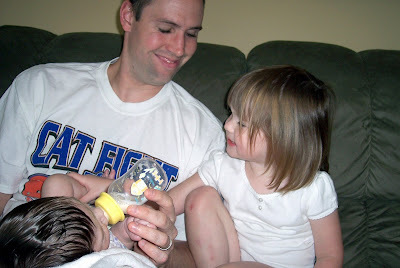 I then explained that Greg was Cate's daddy and it was OK for him to take care of her. Oh, and when I mentioned to my mom that Cate's nose sounded slightly stuffy, Milla immediately went to get Cate a Kleenex. 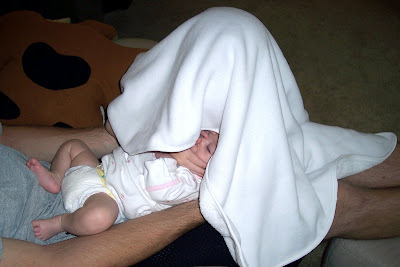 Milla covered both Cate and herself up with a blanket and whispered to her. I have no idea what she was trying to teach her, but I have no doubt Milla will try to influence for her years to come.